I wanted something simple to send some thank you notes out, so I came up with this. Print it on letter size paper and cut it up the middle - two to a page. Click the image below to download. I like this. 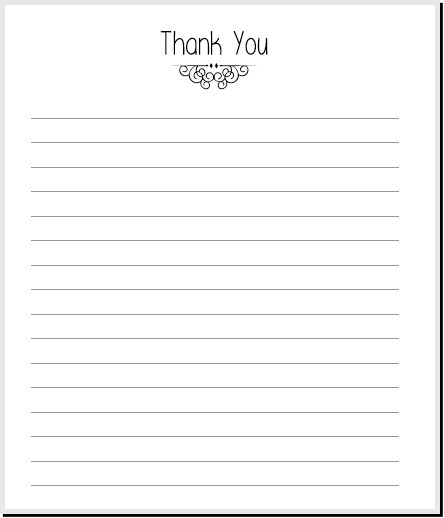 It would come in handy if you have a major event coming like a wedding or graduation and want to be able to send thank you notes. You could keep track of it all in your planner and write the notes while at appointments. Like it!